ENERGY STAR ® - Sonbuilt Custom Homes Ltd. The ENERGY STAR ® label is a well recognized and respected brand for energy efficiency. An ENERGY STAR qualified new home is a practical choice for consumers looking for a new home that’s energy efficient and environmentally friendly. Today, 17 percent of the energy consumed in Canada runs our homes. 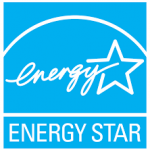 An ENERGY STAR label on a new home indicates lower energy demand and better overall performance of the home. Homes built to the ENERGY STAR for New Homes Standard are, on average, 20 percent more energy-efficient than those built to the building code. • A variety of ENERGY STAR products such as lighting and appliances save money by using less electricity.